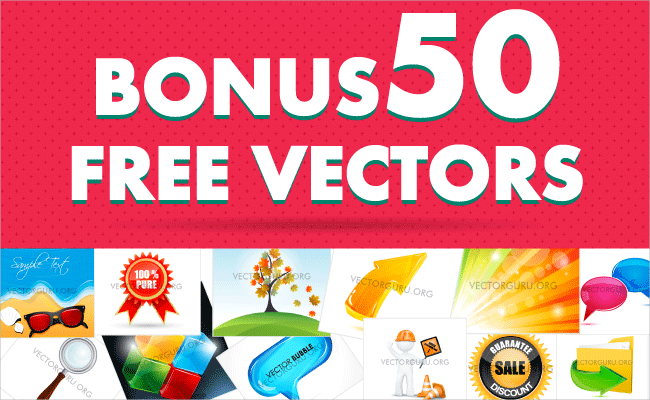 Kickstart your New Year with Bonus Free 50 Vectors. 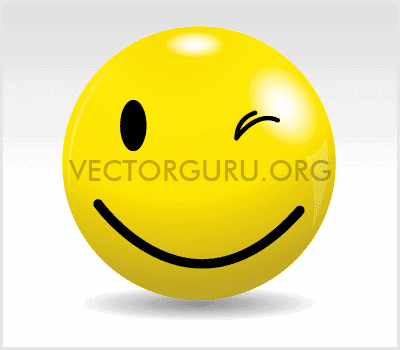 As we usher into the New Year, Vector Guru wants to wish all the readers and fans a great year ahead by giving away Bonus Free 50 Vector. Yes! 50 Vectors which are absolutely free to use in your projects, the way you want them. 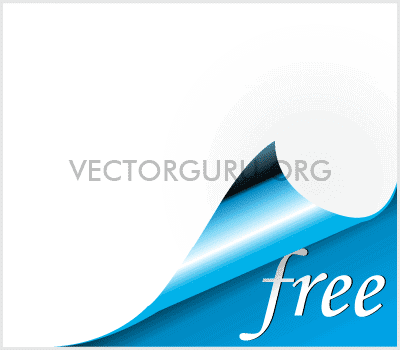 Click on Download to start the download of our 50 free Vectors! 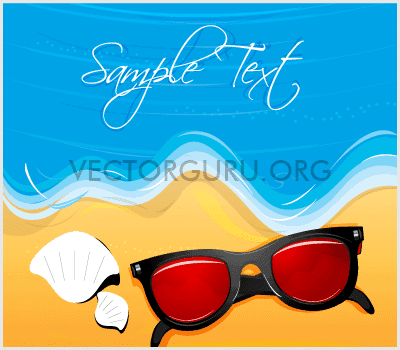 Subscribe for Vectorguru’s newsletters and get exclusive benefits. All this and much more right in your inbox… regularly. 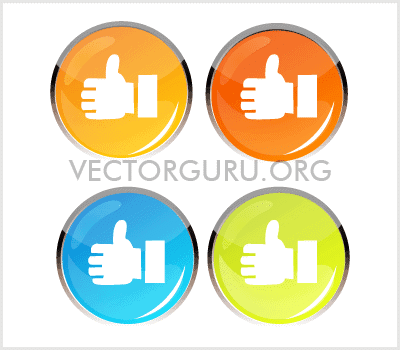 Every time there’s something awesome you shouldn’t miss, you’ll receive a friendly nudge from Vectorguru. 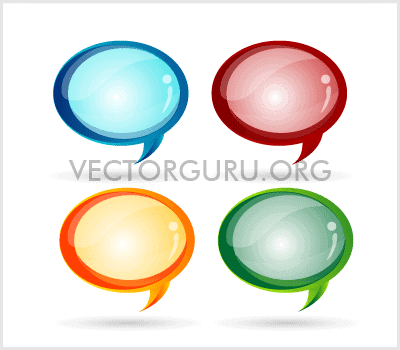 Just like this Bonus 50 Free Vectors download here. 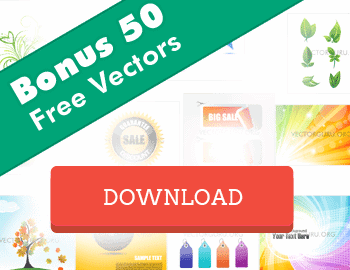 Go on, Subscribe and Download Bonus 50 Free Vectors right now! 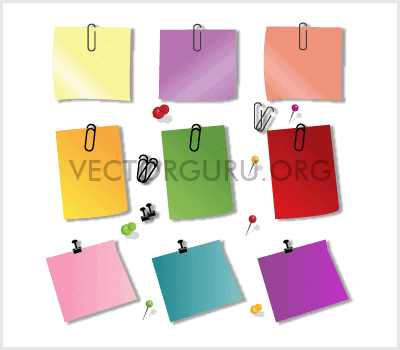 This power-pack of 50 Free Vectors has awesome high quality Vectors that are ready to be used in your design projects. 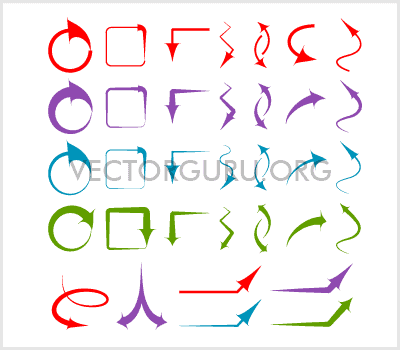 You are free to use these Vectors in personal and commercial projects as well. 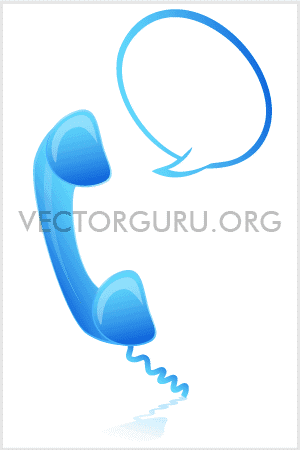 The Free Vector set has a variety of valuable graphics such as vector backgrounds, illustrations, artwork, icons, badges, callouts, labels and silhouettes. 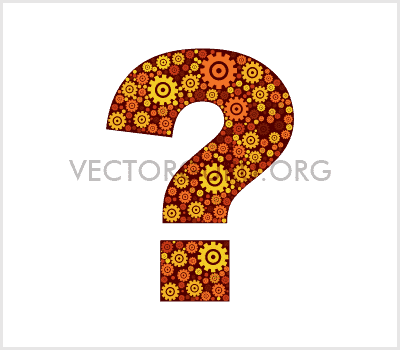 Let’s look at each of these free vectors to see what we have in store. 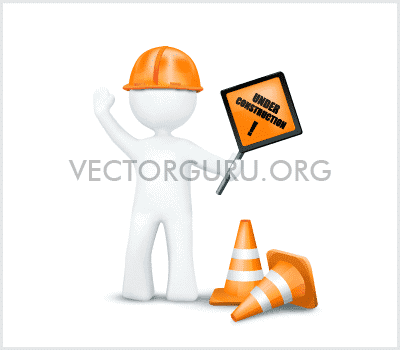 The Under Construction Graphic is a high quality vector with a character waving out holding a signboard reading under construction. With a Glossy Safety Hat, this adorable character will add some excitement to an otherwise dreary under construction pages. 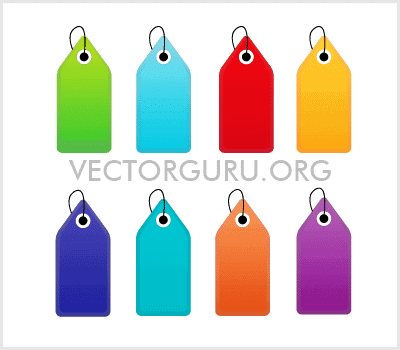 This Amazing Color Vector Labels Set can come handy in advertisement banners for special announcements. You can add text related to Discounts and Sales and you can be sure it won’t go amiss with these colored labels. Remember to use labels with colors that have a good contrast with the background you put them on. Corner Peels are a great way to announce free stuff without worrying about it getting lost in the content. Since the Corner Peel is away from the content body, it never goes unnoticed. 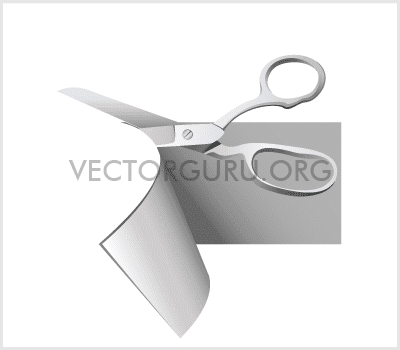 So go ahead and download this Free Corner Peel to use in your web pages and blogs rightaway. 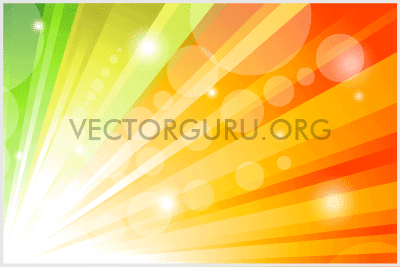 This Bright Colored Background can make a wonderful background for a banner or poster or a web page that needs to look bright and sunny. The colors used in this background are from the warm color palette. Sun Flares are added to make the background look more radiant. 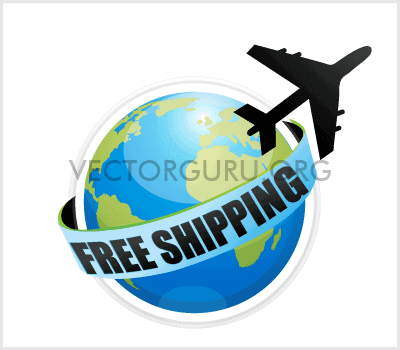 The Free Shipping Globe and Plane graphic can be added to an e-commerce front store to announce Free Shipping for purchased goods. Attractive Free Shipping graphics like the one here coax the buyers to buy the products in a subtle manner. Download this amazing graphic to use in your ecommerce and shopping websites. 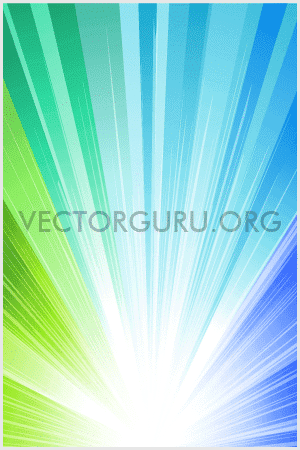 This is another Bright Vector Background with neon colored rays shooting to the top. With a portrait orientation this background can be used directly in party or events posters. Bright backgrounds like these are versatile and can be customized to suit any design purpose. 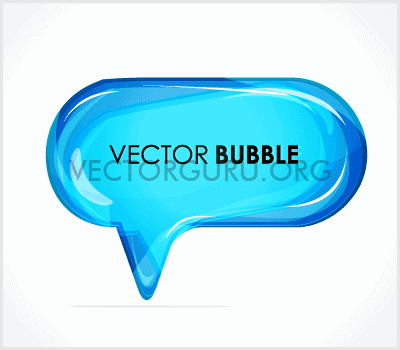 This Glassy Speech Vector Bubble can be used to showcase some important announcements or testimonials or even icons or any other content that need the users attention. 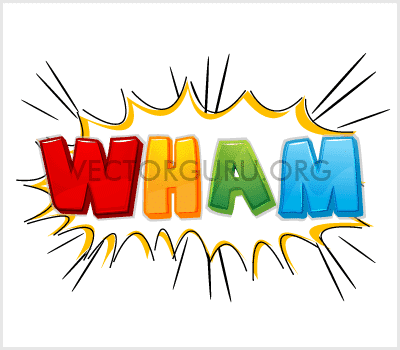 High detailed vectors like this one here are rare and you can get your hands on it right now! Gathering likes for your page is crucial for online success and with Glossy Colored Like Icons you can rest assured to get most likes for your pages. 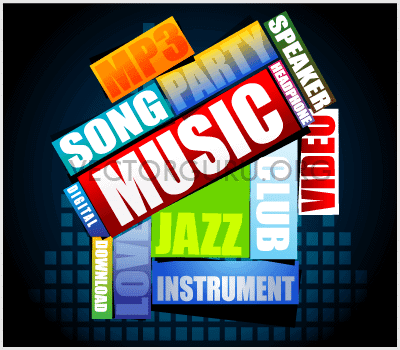 Glossy icons like these standout in web pages even if your web pages look cluttered with lot of content. So you wouldn’t want to miss those, would you? This Help Graphic can make a good banner for your Help Page or FAQ pages. This Help Vector may also be in sections where tips or some pointers are mentioned. The graphic may also be used as an abstract art to signify solutions to a problem. 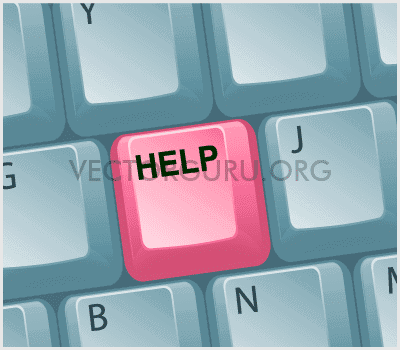 This Help Graphic Vector with a help key is a graphic that looks clickable and can direct the user to a help or solutions page. Sensible graphics when combined with text can communicate abstract ideas quickly, like this simple one here. 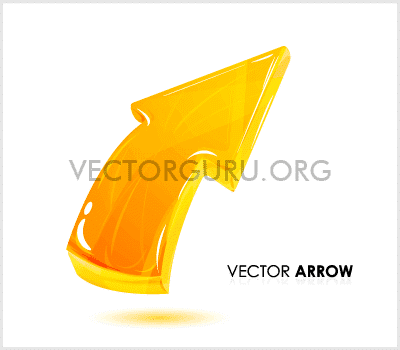 A shiny Vector Glossy Yellow Arrow like this one gives a positive vibe and can be used with catch lines to pack a punch. This graphic can also be used as an upload icon or may be flipped to use as a download icon as well. Most websites provide call center assistance to help online purchase or service. 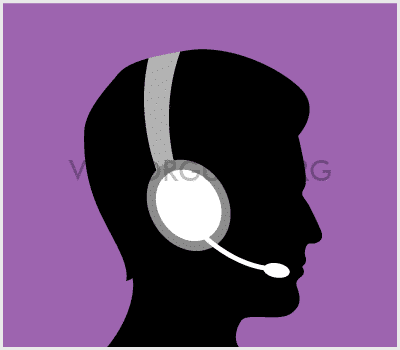 Icons like these are helpful if you want to encourage users to opt for call center assistance. Since this graphic is a silhouette, it can be used in websites catering to users from different nationalities without customization. 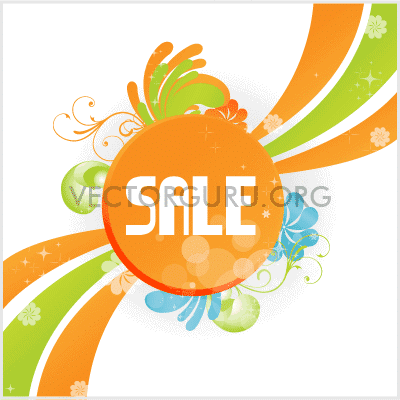 This retro floral design with curves and the circle in the center makes for a good sale banner. You can add this as a header to your banner or rid it of the text and add a central element to use it differently. It can also be used as a corner graphic in a banner. 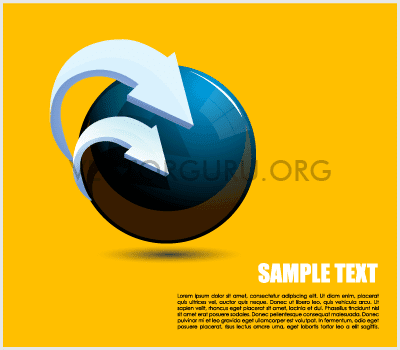 The abstract globe with two arrows can be used as a vector element or as a background for business related content. The glossy sphere resembling a globe with reflections of detailed arrows will complement the design you use it on. A phone icon with a callout can be used as a chat icon or for highlighting contact information. The shiny and smooth look of the phone is attractive and can draw the users attention easily. 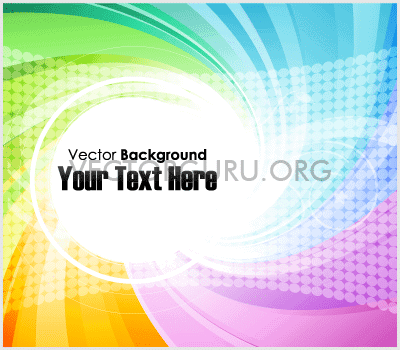 If you’re on the lookout for an attractive background for a banner for your webpage, this is the perfect one for you. This background has been created with different colors and bold text with varied sizes to add mass to the graphic. This light Multicolor Curvy Background with an off center clearing can be used in a variety of designs. The center white circle also has subtle floral designs near the center to add to the beauty of the design. The warped pattern in the background adds depth to the design making the illustration look three dimensional. Holiday Backgrounds are a popular in designs created during holiday season. Round the year they can be used in tours and travel websites and banners. Simple artwork with unique illustration styles are hard to find and you can make the most of this opportunity and download the vector pack that has this amazing graphic in it. 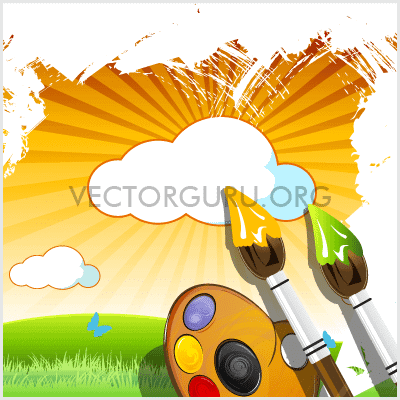 This is a retro styled illustration with green pastures, floating clouds and a butterfly with a palette and paint brushes. Though this is an amazing background by itself you can remove elements that are not required and use the elements to create different designs altogether. This label can be used to highlight important content or draw user’s attention to a certain part of the webpage or design. You can also increase the label space and add important content such as announcements or icons if needed. 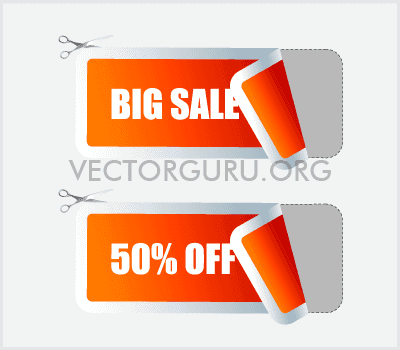 These peel off Big Sale and 50% Off sticker graphics can be used in advertisement banners on websites and printed materials. Peel off sticker style graphics are known to attract the users attention more easily. So make the most of this free download now. Big bright glossy business elements like these can be used besides business related content. The upward graph and arrow in the 3D Graph gives a positive feel to the webpage where it’s used, resulting in positive behavior by the users enhancing their trust in your product or service. 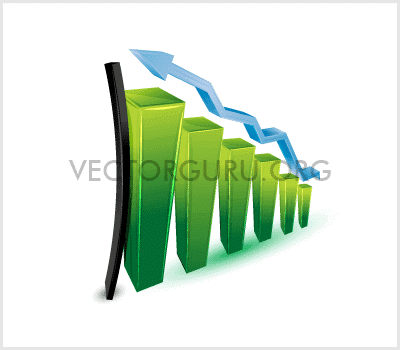 Upward graph also symbolizes success. Good party backgrounds with ample space for content are rare. 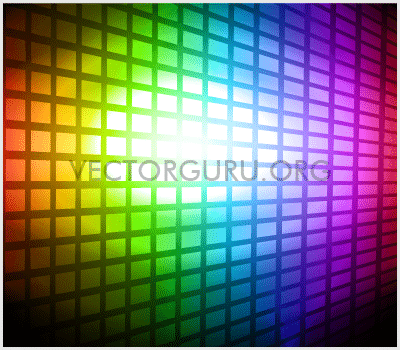 This Rainbow Colored Party Background can be used for event posters or banners. The rainbow tint makes it ideal for a dance party or any youth event. 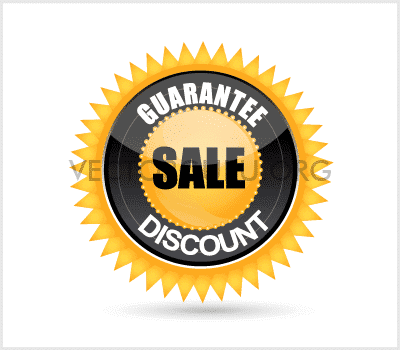 Guarantee Sale Discount Badges like this one not only officially announce sales, discounts and guarantee but also instill a sense of security among users and buyers. This golden and black badge makes the announcement seem more special. Sometimes some snippets of content are required to be added separately from the main content body. The office board notes with pins graphic is ideal for this purpose and can help you add important content without the need to alter the main design. If you have something impacting to showcase, this is just the text that can project it. 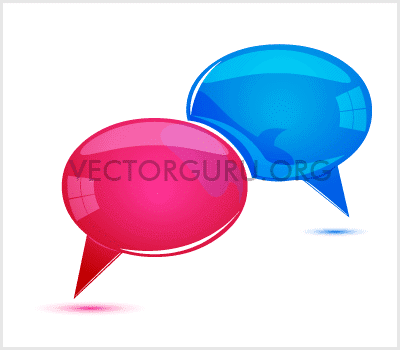 It could be important announcements, offers and surprises that need to have an extra punch, just like the 50 free vectors download offered here. This is a mesmerizing illustration of the Autumn season that has a bright and colorful tree with maple leaves on green pastures. The light floating clouds add to the splendor of the illustration. You can use this as a background or add some wonderful text to change it into a greeting. This high quality Shiny Transparent Cubes can be used as an element that symbolizes a multi solution or service organization. This graphic can also be used as a logo of a company. You can also add different icons on the faces of the cube to communicate a different idea. This realistic search icon is more than a regular search graphic. Since it’s a high detailed illustration, you can use it in advertisements for search engine marketing websites and blogs. Callouts can be used as backgrounds for important messages and announcements. Download and use these shiny Colorful Callouts to make your messages more impactful. These Colorful Arrows can be used in designs to guide the user to a specific task or information. These can also be used in infographics or advertisements. This graphic can be appended to content which needs special attention. Offers are a great way to make a sale and with graphics like these, the users won’t let them go amiss. The shiny smiley ball is more than just a graphic and can add cheer to webpage or design. The Shiny Smiley offered here is a high quality graphic with a glossy finish which makes it look more rich and cheery. Graphic designers can never have enough of the icons. Unique icons like the Call Icon here is something that can be used in web pages and print designs to showcase contact information. 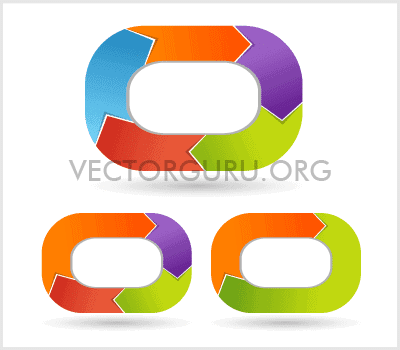 Here’s another Colorful Callout set for you to use directly in your designs. Post important messages, offers and announcements in them to attract some eyeballs. 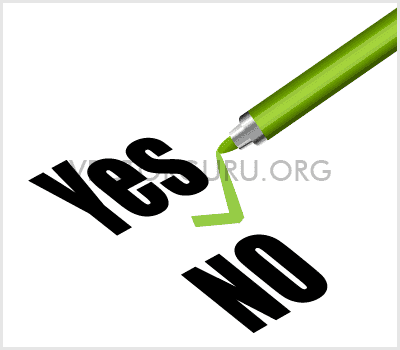 A pen with a tick marked yes is a great graphic to show a user, they would make a great choice by choosing your product or service. Graphics like these help market and sell your products and services in a subtle and effective manner. These are colorful and attractive graphics with arrow heads moving in a clockwise direction symbolize an ongoing process in a positive direction. The subtle gradient and shadows add more depth to the elements. 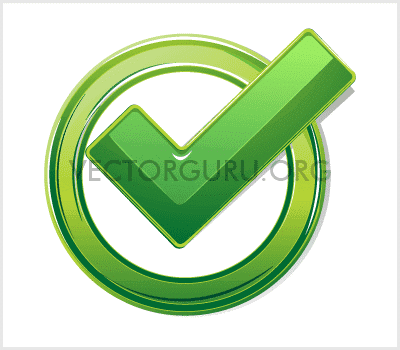 This is another free Tick Mark Vector which can be used in sites which sell or market eco friendly products. The positive feel of the tick mark impacts a buyers decision and can also make your design look interesting and attractive. 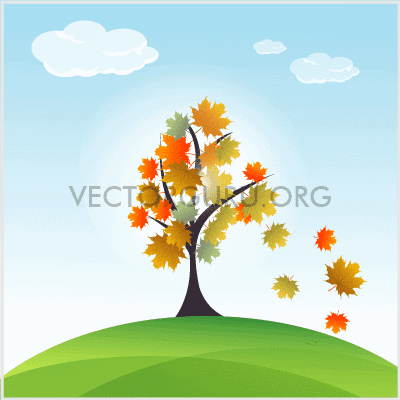 This Rich Download Vectors is a high quality graphic which can be downloaded and used in websites where you have downloads for users. The glossy arrow and detailed folder graphic make would certainly make the download special. With more and more websites offering online chat to discuss services and product solutions and help, this graphic would come more than handy. 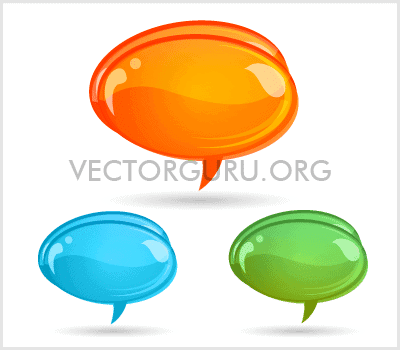 With this glossy chat icon you will have more users discussing their problems and less people giving up and quitting your webpages. Badges validate important announcements and messages, push sales and help build trust in a brand. 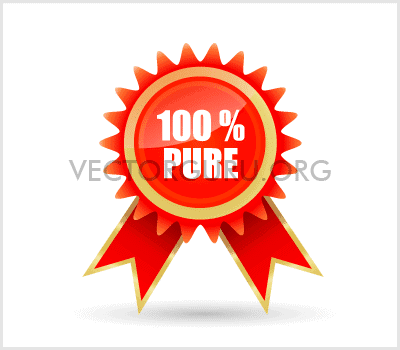 The rich 100% Pure Badge will surely project your services and products as a reliable one. There are many websites selling Organic and eco friendly Products online. 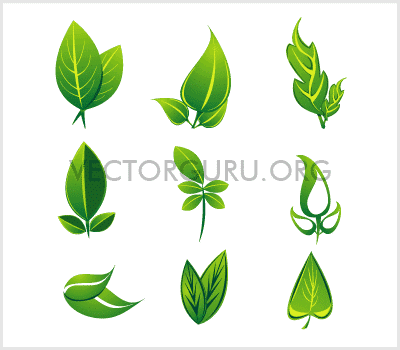 These wonderful leaves graphics can be used to enhance these design and validate the products eco friendly nature. This is a Silhouette of a girl walking with high heels, long hair and a short dress. You can use this silhouette for a party background for girls. 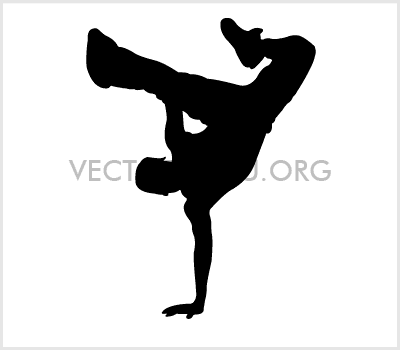 The earlier Vector can be coupled with this Dancing Girl Silhouette to enhance your party poster. Silhouettes with glowing backgrounds give a glamorous look to the designs. With the dubstep, B boying has gained immense popularity among young dancers. This b boying silhouette can add energy to your designs instantly and can be used in talent hunt and party posters or banners. Model hunts often require silhouettes of girls cat walking the ramp. This unique silhouette can be used model hunt banner and poster advertisements. Search and Download are activities that every user is involved in most of the time. 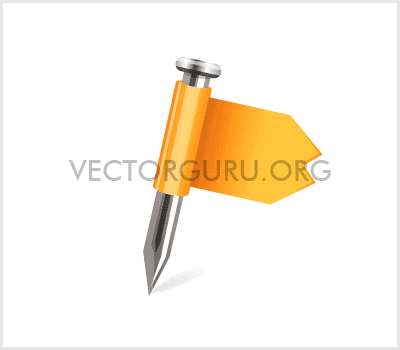 These High quality Search and Download Vector Button can be incorporated in websites to shoot up your click rate. This Retro Floral Artwork can be used as a background element or as a central element in an illustration. Such beautiful illustrations can also be downloaded to be used in print material such as brochures and greetings. 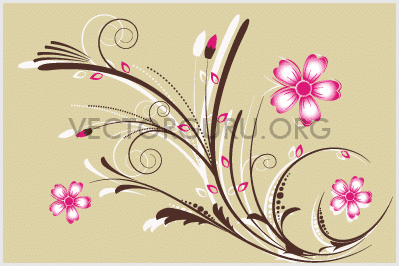 This is another Retro Floral Artwork Vector with very intricate artbrush work. The rich composition is done with beautiful shades of green and brown to add to the retro look. 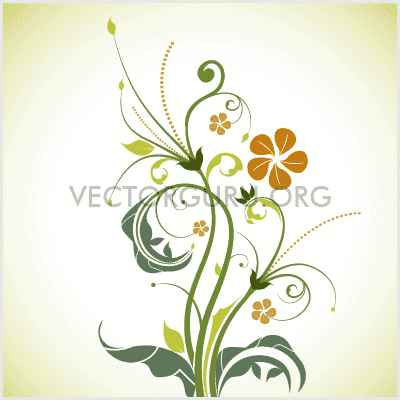 This fresh green floral artwork is a great vector that can be used in banners and backgrounds to give it a refreshing look. 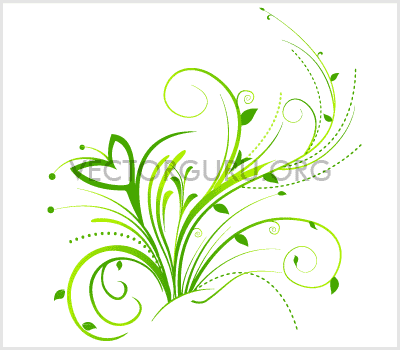 The curvy stems and leaves with bright green gradients would make your design look more cheery. I'm sure you are busy downloading these awesome 50 Free Vectors. If you aren't, go and subscribe to our superb newsletters and begin downloading right now. You wouldn't want to miss this awesome opportunity, would you? I would love to know, which ones of these Free Vectors you liked the most. We shall soon be coming with more freebies. And since you've subscribed to our newsletters you are definitely in for some great action.